Have I mentioned that cheese is quite possibly my FAVORITE food group? I love cheese. Even more when that cheese is coated in breadcrumbs and fried – or in this case, baked. My Baked Mozz Sticks are so full of flavor. Usually, I like my mozz sticks with a big helping of ranch, but I made this Pizza Sauce Dip that’s fully seasoned and compliments the Baked Mozz Sticks so well. To start, make sure those mozzarella string cheese sticks are fully frozen. I like to cut them and then put in the freezer overnight. The next day, you’ll whisk the egg and set up the flour and breadcrumbs in their own bowls. I add the seasonings to the breadcrumbs, this is your last chance to decide how much flavor you want! It may not seem like the amounts listed are much, but they pack a real punch to your taste buds when combined with the Pizza Sauce Dip. 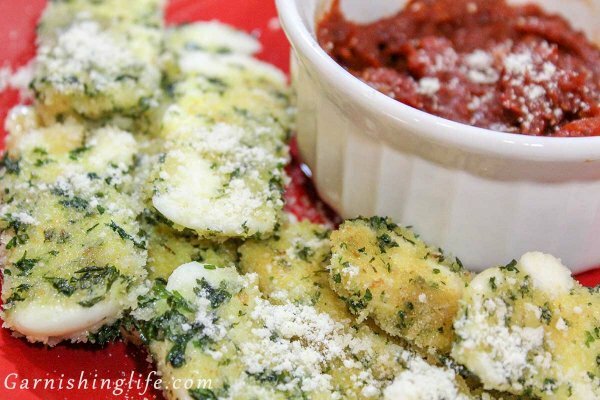 Next, dip the mozzarella halves like a Milanese – first in the flour, then the egg, then the crumb mixture. Freeze the sticks for another hour. Before you bake, melt and drizzle the butter over the sticks. Bake for a total of six minutes, flipping after three. To Garnish, sprinkle with parmesan cheese. These are super hot from the oven, so let them cool a bit before you dig in. The Pizza Sauce Dip is pretty simple to make, too. It’s just a few steps! Cook the garlic in the olive oil over medium for a couple minutes, then add in crushed tomatoes, tomato paste, and seasonings. Stir it all in well, cover and simmer on low. When you serve, you can sprinkle a bit of parmesan for Garnish. This weekend is the Big Game. 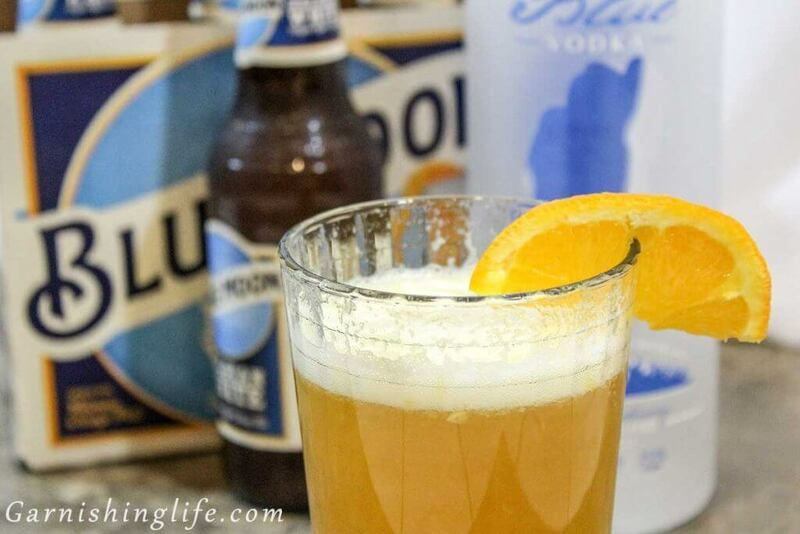 So, we’re making the Baked Mozz Sticks with Pizza Sauce Dip, Cheesy Garlic Twists with Creamy Dip and our Orange Shandy. 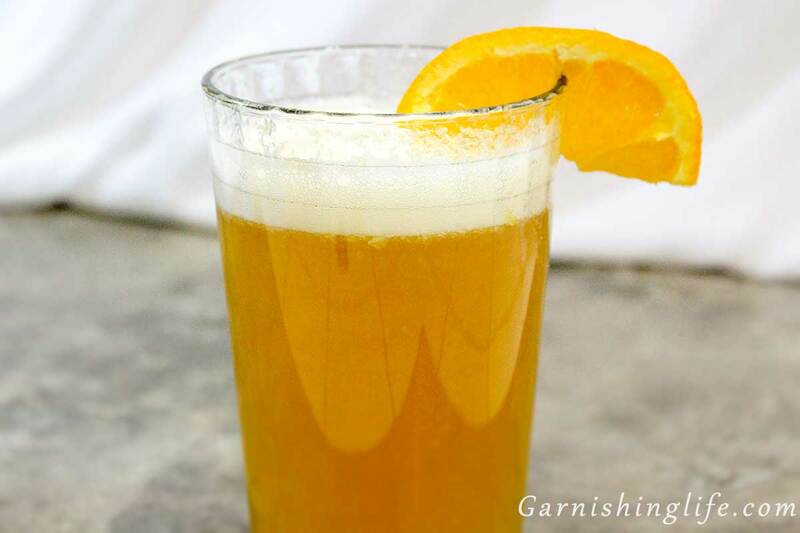 Don’t forget to follow us on Twitter, Facebook, and Instagram @Garnishinglife. In a separate bowl, whisk the flour. 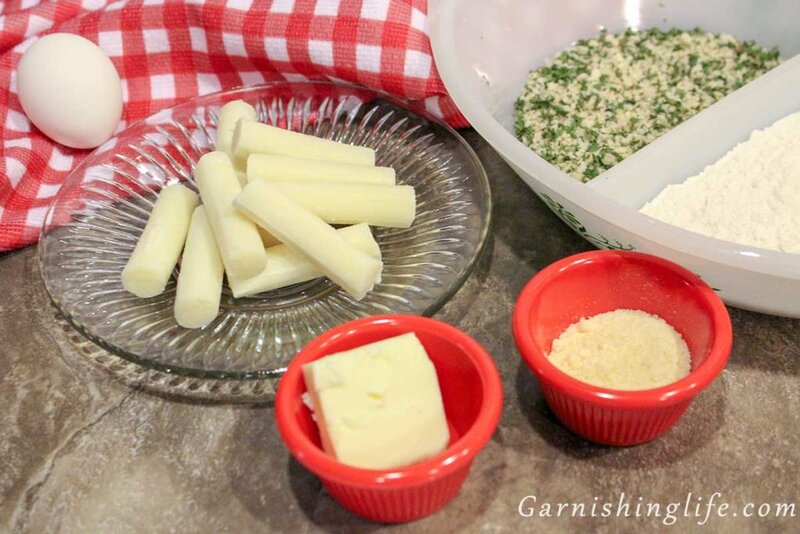 In a 3rd bowl, stir together the bread crumbs, panko crumbs, parsley, pepper and garlic powder. 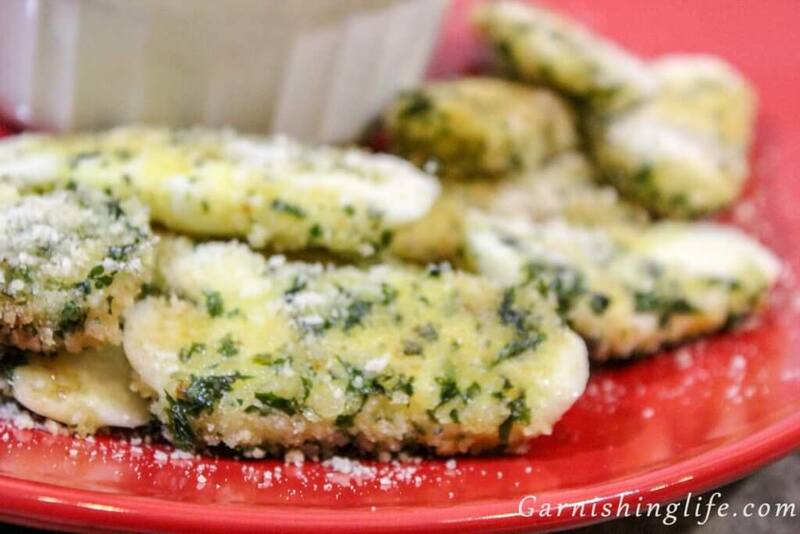 Dip each halved mozzarella stick in the flour, shaking off any excess. Then dip the mozzarella into the egg and the crumb mixture. Line mozzarella sticks on tray lined with wax paper. Line a baking sheet with foil and lightly spray with cooking spray. Place the mozzarella sticks on the sheet about an inch apart. Melt the butter and drizzle over the sticks. Bake on the middle rack for 3 minutes. Flip and bake for 3 more minutes. 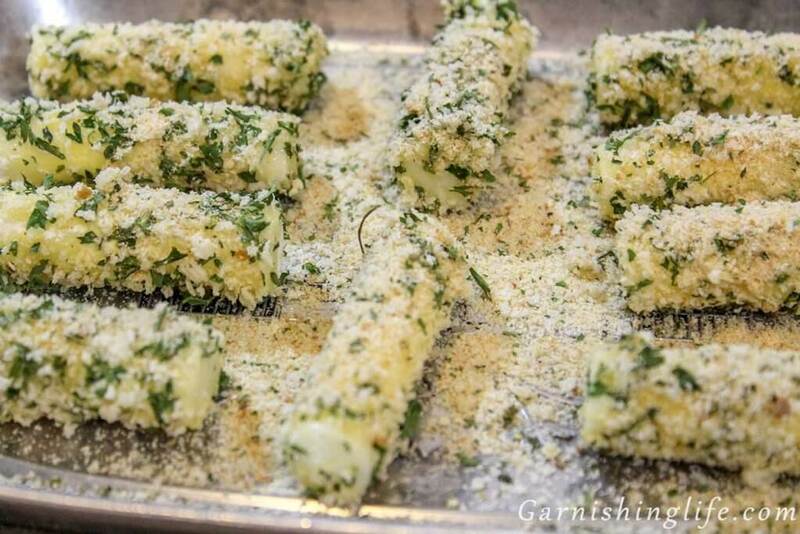 After removing from the oven, sprinkle lightly with parmesan cheese to Garnish. Allow to cool before eating. The cheese will be hot! Heat olive oil and garlic over medium heat for 1-2 minutes. Stirring frequently. Crush the diced tomato and add to the garlic. Stir in the tomato paste, oregano, sugar, salt and pepper. Turn the heat to low and simmer for 8-10 minutes. Serve on the side of the Mozz Sticks and Enjoy! Freeze the mozzarella sticks overnight to ensure fully frozen through. These mozzarella sticks are heavily seasoned when combined with the dipping sauce. It is a delicious concoction, but reduce the amounts if you have a more sensitive palate when it comes to spices. Be careful when you take the first bite - the cheese is hot! 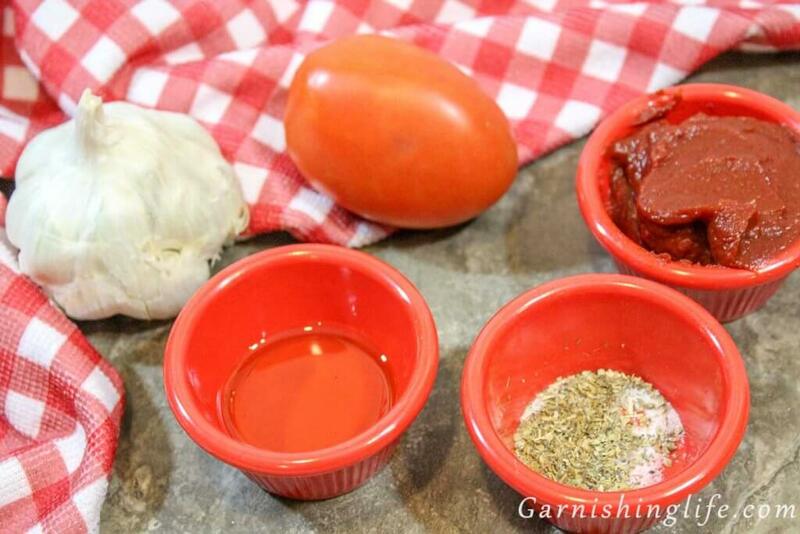 Throw in any of your favorite seasonings to the Pizza Sauce Dip. 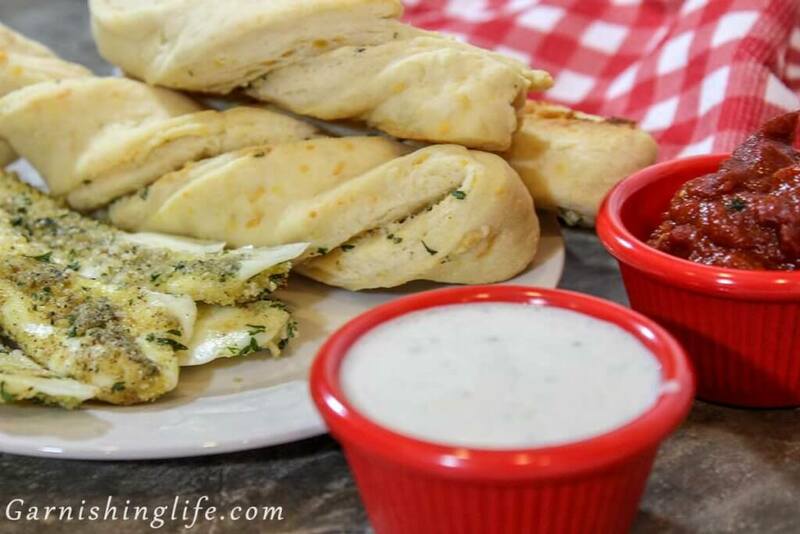 There is so much flavor in the dip and mozzarella combo, make it your own. 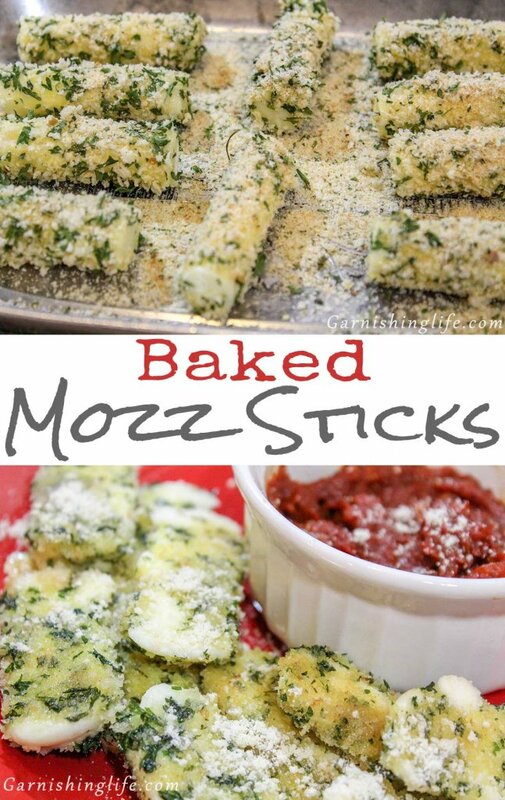 I love mozzarella sticks, but I’ve never tried making my own. This would be neat to try doing a homemade version. These look delicious!